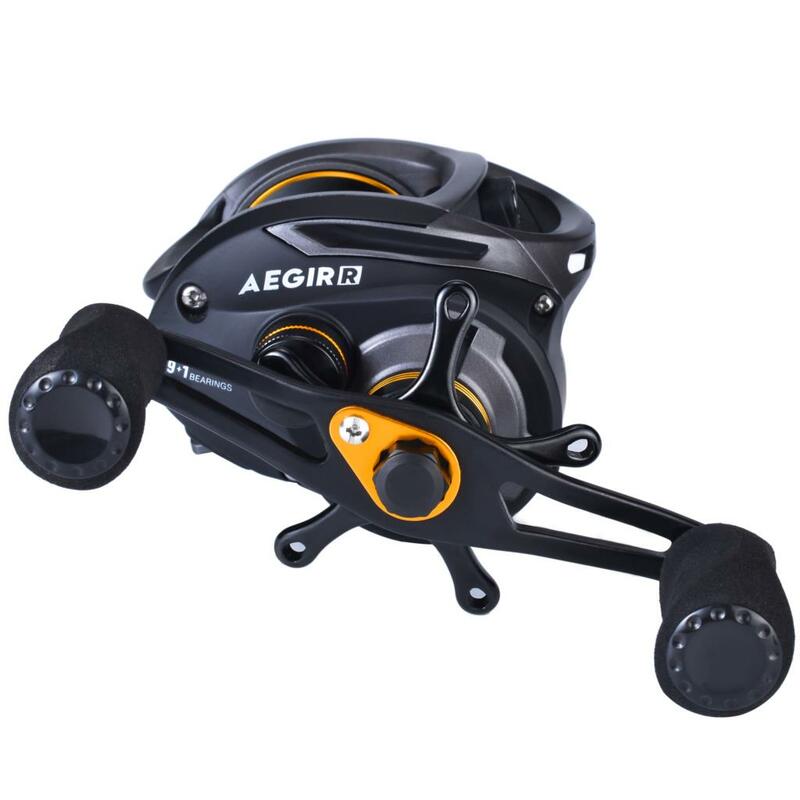 * FishingSir's AEGIR casting reel is sure to please any angler who engages the bail. 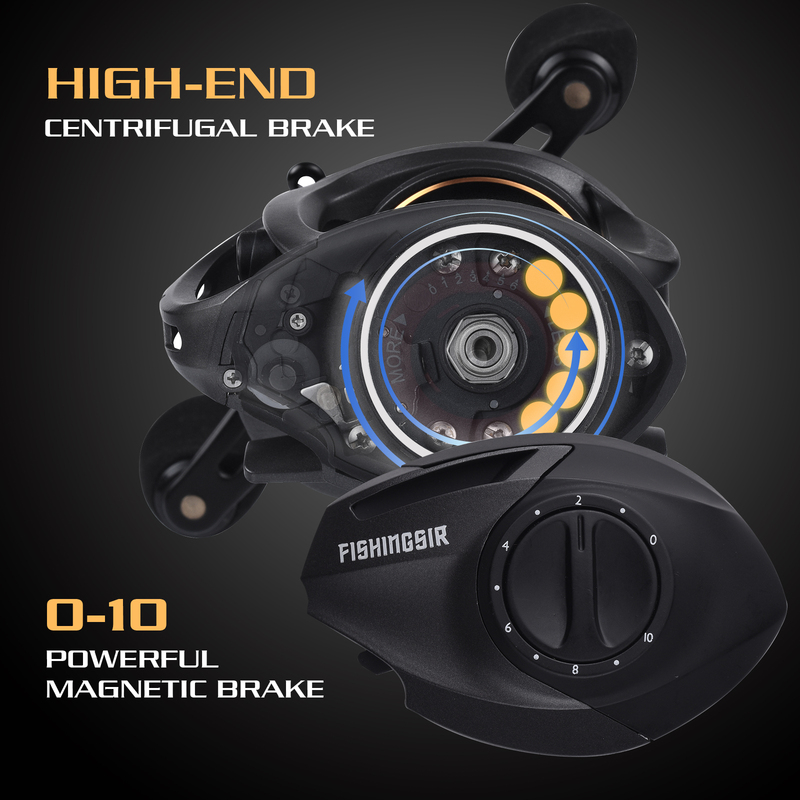 High-grade reinforced graphite body with machined-and-aluminum spool, super low profile, lightweight design. 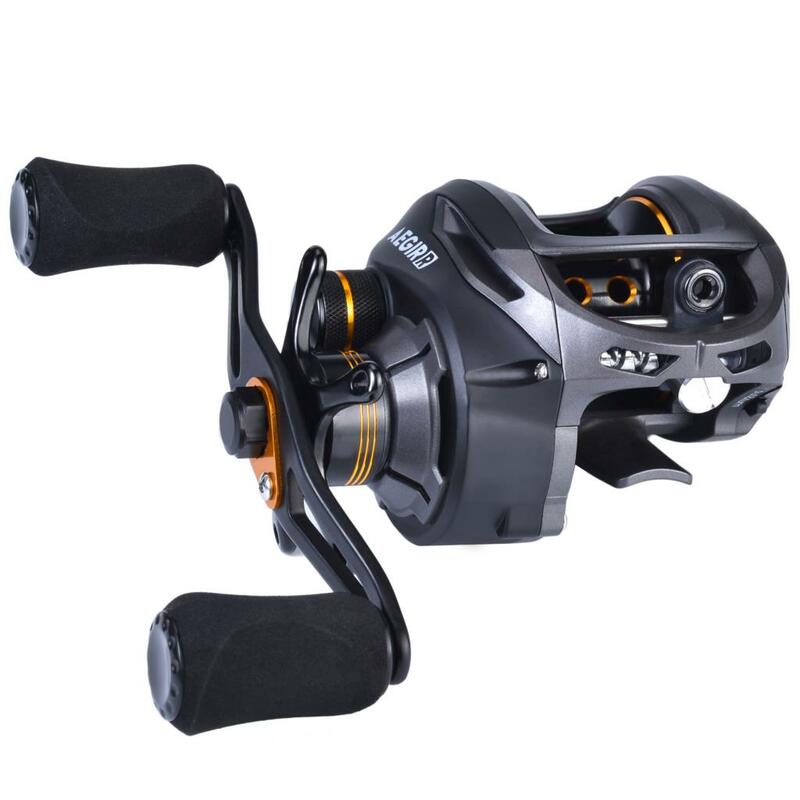 * Silent high speed 7.1:1 line retrieve and 9+1 bearing system provide ultimate smooth performance. 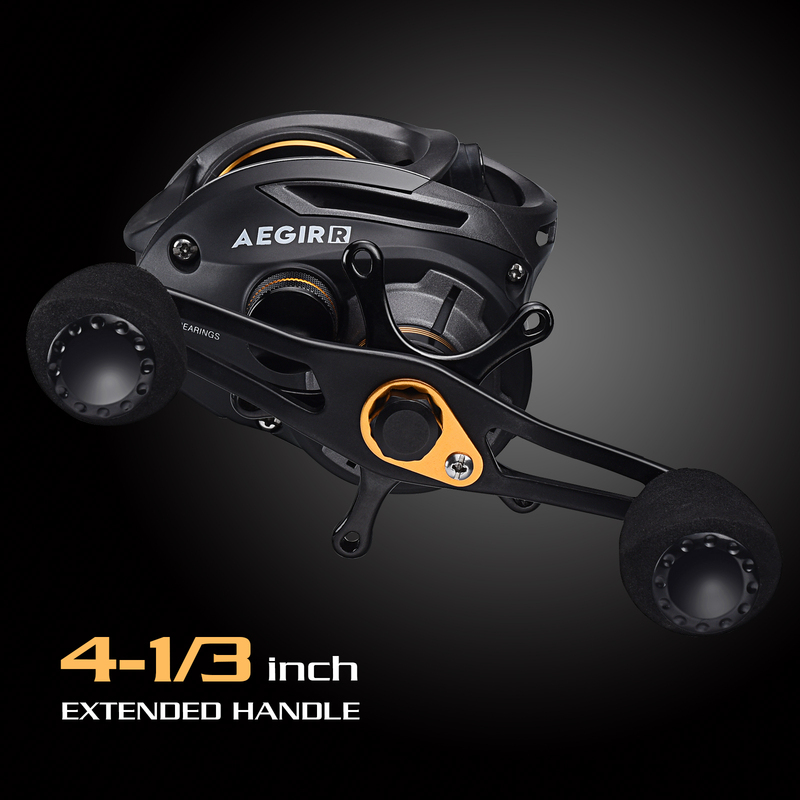 Advanced drag system constructed with carbon fiber, stainless steel and offer 17.6lbs drag power. 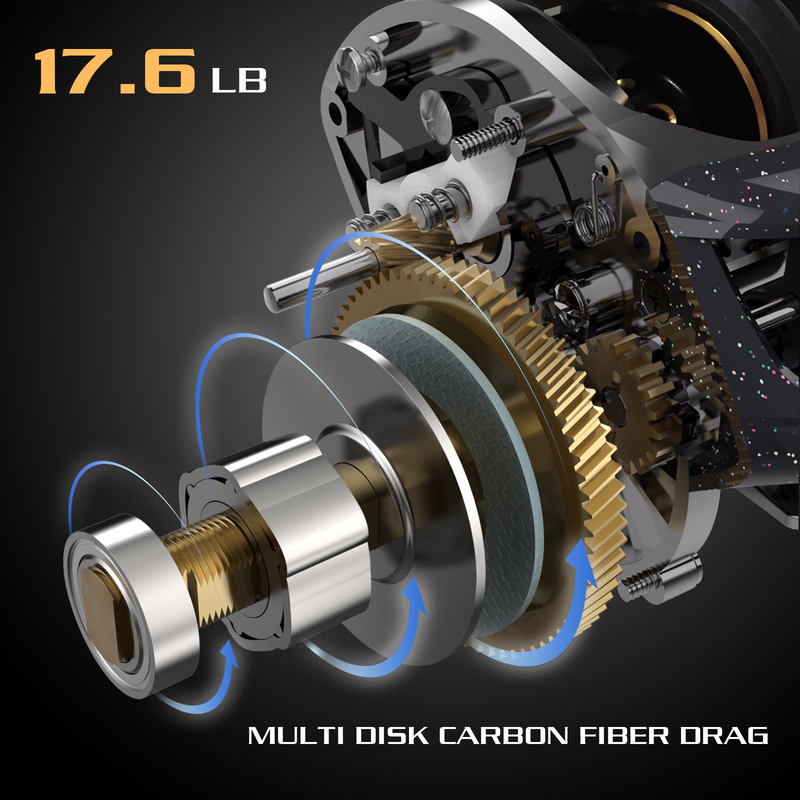 * Hard brass drive gear provides the torque needed to pull big fish out of cover. Aluminum 110mm (4-1/3 in) extended handle with high-density EVA knobs. 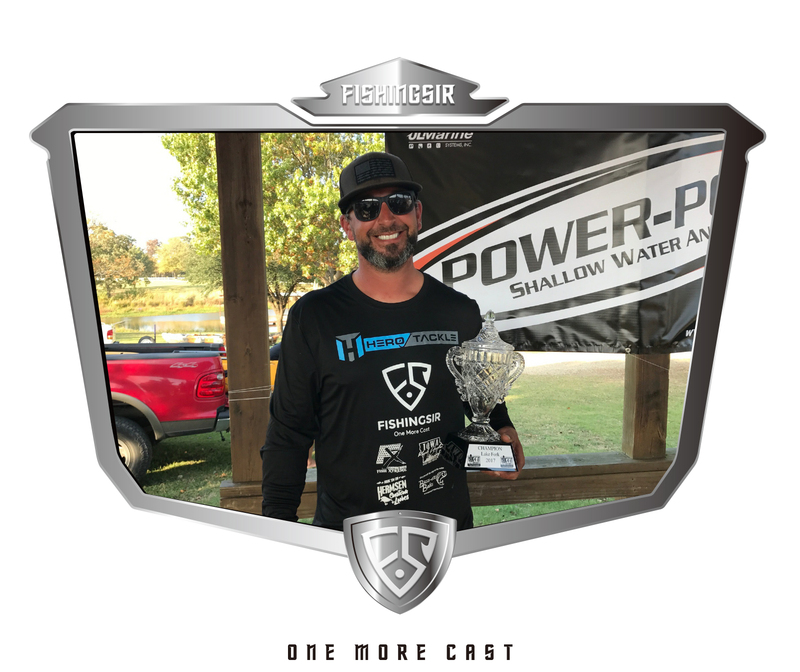 Top quality and durable gear you expect for baitcaster. 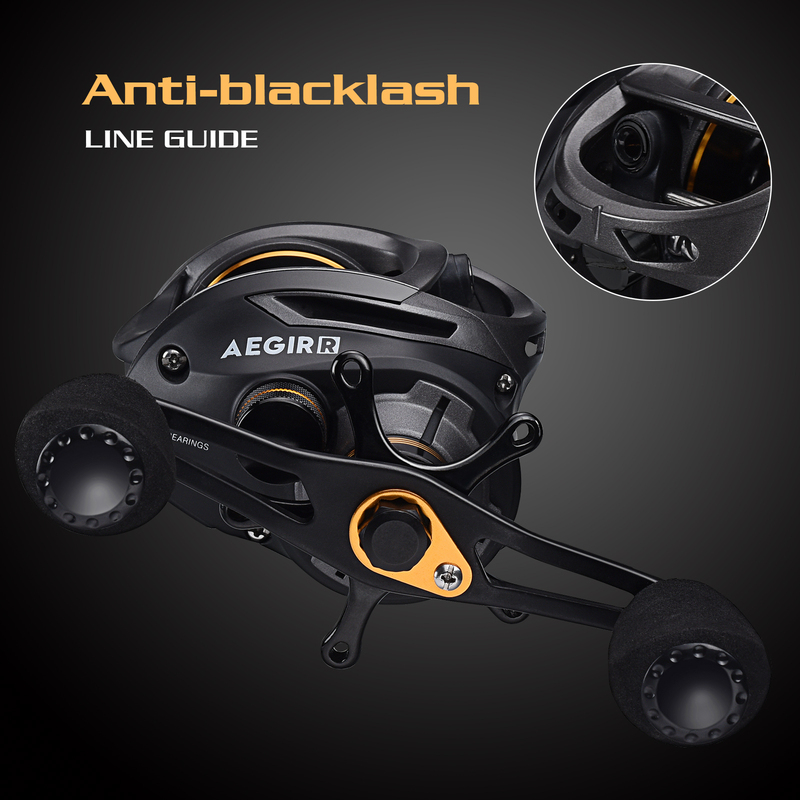 * The new FishingSir's AEGIR bait caster features dual brakes with quick, easy to fine tune 0-10 powerful magnetic brake and high-end centrifugal brake, a tournament ready casting reel for all anglers. 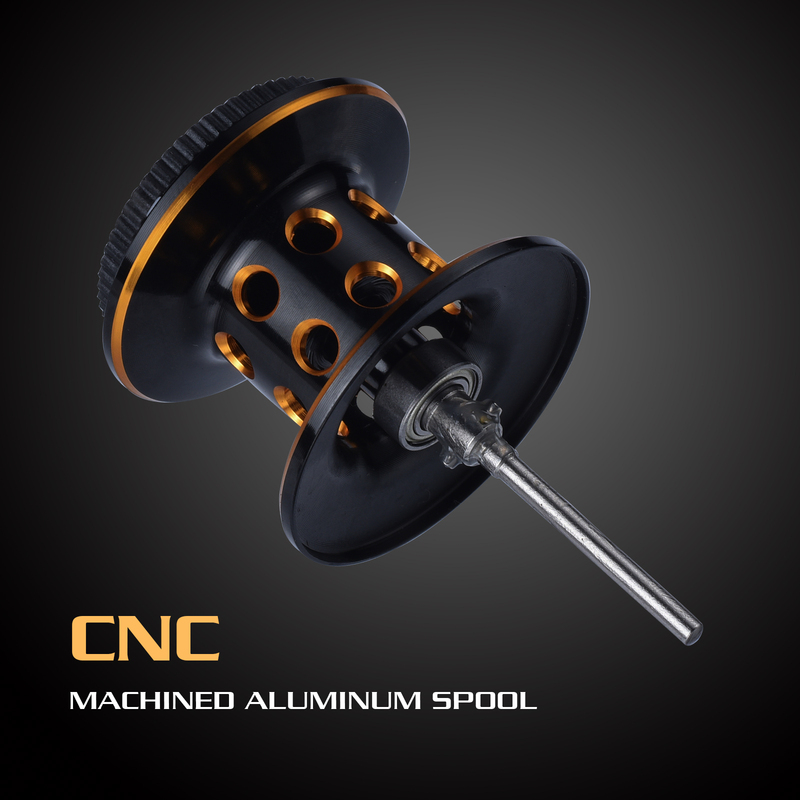 * Double-anodized, ported, machined-aircraft-aluminum spool offers maximum strength while reducing weight. 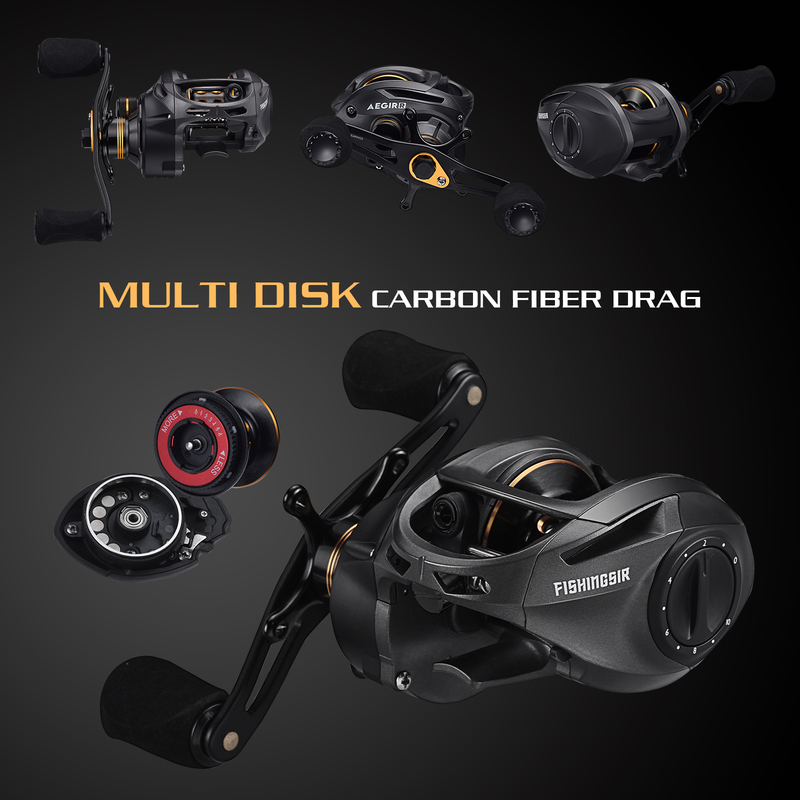 It is a perfect reel to choose, we are proud to present the Worry-Free one year warranty to you!